Lift three of Chalk 3 consisting of 49 soldiers from the Republic of Fiji Military Forces (RFMF) departed the country for Sinai yesterday. The troops conducted an early morning parade at the RFMF Black Rock camp at Namaka in Nadi and inspected by Land Force Commander Colonel Sitiveni Qiliho. They are part of the latest rotation of those serving with the Multinational Force and Observers in the increasingly trouble hit Egyptian Sinai bordering Israel. Chalk leader Lieutenant Iliano Vuruna is confident with his troop and is proud of the Fijian military brand. “This is my first tour of duty abroad as a leader. It will be very challenging for me, but I have trained well,” Lieutenant Vuruna said. “I am ready to face the tough situations in Sinai as the boys have all trained well for it,” the 21-year-old said. He thanked the families of the soldiers for the support, especially in turning up in big numbers to farewell their loved ones at the Nadi International Airport early in the morning. The young soldier has spent two years in the RFMF as he continues to stand strong and proud with his responsibility. Many children along with their mothers and grand-parents came in the cold early hours of yesterday morning to farewell their father, uncles, brothers and sisters and love ones who left for a tour of duty in Sinai. 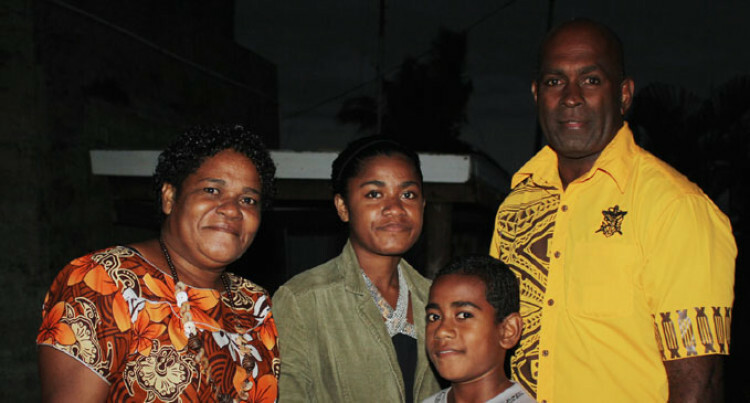 Mere Kulikata from Momi in Nadi came with her two children to see her husband Tevita Kulikata off to Sinai for a year. “My children will miss their father as they are closely attached to him and they always miss him when he goes away,” Mrs Kulikata said. This is Mr Kulikata’s fourth tour of duty and second trip to Sinai in his eight years of service in the RFMF. “When he goes away, as a mother, I have to do everything in the family because all responsibilities come to me. “We will miss him so much and I pray that my God will protect him and that he returns home safely to me and our children after a year,” she said. Another mother, Ilikaya Tuki, came from Emuri Village at Semo in Sigatoka with her son to farewell her husband and a father Aisea Raitala. “We came by a van to see off my husband go to Sinai for a year because we will miss him,” Ms Tuki. “He has been to a couple of tour of duty and life without him is very challenging, especially for me as a mother,” she said.